Criminal gangs are jacking up cars in order to steal the catalytic converters from their exhaust systems and sell the precious metal contained within. A Freedom of Information investigation by The Times showed almost 13,000 catalytic converters have been stolen since 2013. Despite manufacturers attempting to make catalytic converters less accessible for thieves, police data reveals 1,245 were stolen from vehicles in 2017. Furthermore, experts predict thefts will increase as time goes on. Antonia Grey, public affairs manager at the British Metals Recycling Association, told The Times that cuts to council and police budgets mean laws introduced in 2013 to crack down on metal theft are “no longer being enforced"
Introduced in 2013, the laws made it illegal for metal recyclers to pay cash for scrap and required sellers to produce identity documents. Grey explained: “Illegal operators are so unconcerned that they are openly advertising cash for scrap and many of them will no longer have the required scrap metal dealer licence. Meanwhile, separate Home Office figures show the total number of thefts from vehicles increased 14 per cent last year to 656,000 incidents. The AA warned that large 4x4 SUVs are the most at risk of having their catalytic converters stolen because they are higher from the ground, making it easier for thieves to get underneath the car. In December, police warned thieves were using high-powered hydraulic equipment to raise cars off the ground in broad daylight and steal their catalytic converters. One incident saw several cars targeted in a supermarket car park in south-east London within the space of a few minutes. Motorists are advised to park cars in secure garages if possible or in well-lit areas, and to mark the metal shell of the converter to it can be traced if removed. Brazen thieves are stealing vital parts from cars and selling them on for a high price. Since the start of 2019 at least 29 catalytic converters have been stripped from cars across the county. The thefts have mostly affected motorists in the north and west of the county. Offences have taken place in Dartford, Gravesham, Maidstone, Medway and Swale. Catalytic converters used to be a popular target for thieves because of the scrap metal value. In recent years new models have been made with less precious models, but older cars are still being targeted. Sgt Dan Horsley of the north division Community Safety Unit said: "Changes made by manufactures to deter thieves are reflected in the vehicles we see being targeted today. "In more than half the offences Toyota Prius vehicles, made between 2006 and 2007, have been targeted. Victims have also reported a number of thefts from Honda models from 2000 and 2005." On March 26 two men were arrested in connection with the theft and handling of stolen catalytic convertors, after a suspicious car was stopped by officers in Main Road, Longfield. Items including a number of catalytic convertors and cutting tools were seized from the vehicle. An investigation is ongoing. Sgt Horsley added: "We are continuing to work hard to deter and reduce the number of these crimes. 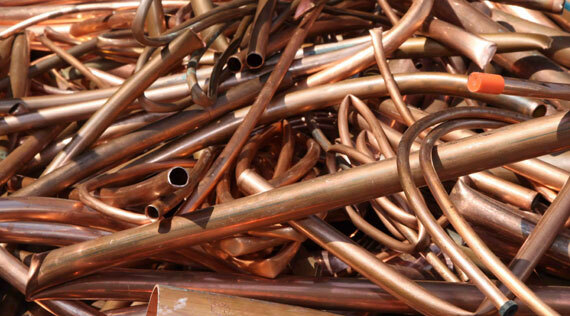 "This includes working closely with scrap metal dealers, to make it easier to trace sellers of stolen metal and also identify any dealers who operate illegally. "We are also asking residents to play their part, by remaining vigilant and reporting any suspicious behaviour." To reduce the risk of theft, owners are advised try and keep vehicles in a garage whenever possible, or park in busy, well-lit areas. Drivers can also security mark and register the metal shell of the converter so if stolen and recovered, it will be easier to trace. Mark or etch it with the vehicle registration number, or serial number, and consider fitting a catalytic converter clamp or security cage to protect it. Catalytic converters being stolen on a daily basis and it is being done with such organisation and speed that Police rarely catch the culprits let alone recover the stolen items. We say it's time for the DVLA & Car Manufacturers to support businesses & general public with a simple system that could change a lot. It's time catalytic converters and dpf's had their own vin number which can be matched up on the vehicle's log book ( V5 ), In exactly the same way the engine and chassis have matching numbers. When a scrap metal merchant is offered a used catalytic converter they would then be able to request the customer to bring a log book ( V5 ) so they can match the numbers and if they are a good match with the log book then obviously the catalytic converter would not be stolen, this would be a fairly simple fix for a massive problem. or even if the catalytic converter's standard serial number was placed on the logbook this would still work in the same way. Ok so maybe some people might criticise these ideas and say it would cost the DVLA time and money, We think people would be more than happy to part with a small fee of between £3 - £5 for the DVLA to do this it would also save Police time and resources, Which would be helpful as at present the police really do need to get on top of the knife crime epidemic. Welcome to our new blog "Stop Catalytic converter theft"
Welcome to our new blog, We hope to help many victims of Metal Theft at the same time help honest traders by giving them a "heads up" on what's been stolen in their area, We would like any victims of metal theft especially Cat's or Dpf's to send us an email with the car or van make and model it was stolen from a time and a day and where this happened, It would also be helpful if you give us a local area name for example Bexley, Camden etc. Please do not give us your name or your car reg or the street name or even information about suspects please forward those details directly to the Police. Labels: "Stop Catalytic converter theft"